We are living in an exciting time for Learning Technologies. Amidst the global technology boom there are many new and emerging technologies that show promise for enhancing learner engagement and providing greater affordances for authentic learning. However, it can often be challenging to keep up with all the similar sounding technical jargon. How is ‘Virtual Reality’ different from ‘Virtual worlds’? Can you ‘3D print’ 3D Videos? What’s the difference between Serious games, Game Based Learning and Gamification? In this article, we’ve created a simple and light-hearted glossary of emerging technology terms that often get confused with one another. Refers to techniques for making a projected image or video seem like it has real depth. The effect is usually achieved by using 2 different images that are near simultaneously perceived by the viewer. Often the viewer is required to wear a pair of specialised glasses and the images are being projected by multiple different projectors (usually 2 or 3). Most 3D TVs use some form of Stereoscopic 3D images that require specialised glasses. The Stereoscopic effect in TVs may be achieved by shuttering between the 2 images (faster than the eye can follow) or interlacing them (finer than the eye can notice). Some displays may be autostereoscopic (user need not wear specialised glasses) by using special lenses or films on the screen surface. 3D Computer Graphics, 3D Animation, 3D Computer Games etc. all refer to the idea of using vector 3D math to create graphical representations (called renders) of objects, landscapes, creatures and people on what is essentially a 2D plain such as a computer monitor. 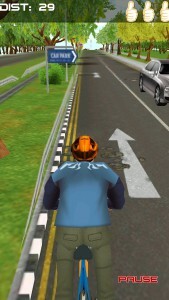 These are used in computer games and animated movies (such as Shrek or Toy Story), and many different kinds of uses cases in visualisations or simulations in many different industries. 3D printing is creating printed models with specialised 3D printers. 3D printing can be done with a variety of materials such plastic (most common), wood, metals and even living tissue (look up experimental 3D bio-printing technology). The models used for 3D printing are usually created using 3D graphics (above) but can also be 3D scanned (below). Just like the human eyes, by using two or more cameras in sync computers can also have depth perception. By repeatedly scanning the topography of any object surface and recording all the visible points, a complete 3D model of it can be created. These models can then be used for computer simulations or even 3D printing. Ever since Karel Capek introduced the word ‘robot’ into our collective consciousness in the 1920s we’ve been fascinated with the concept of these intelligent automata. From cyber attacks to space exploration to universal basic income they seem to invariably pop up in a variety of different conversations. A Robot is a machine capable of autonomously (without human intervention) performing the series of tasks for which it was designed. They may or may not walk (like IHMC’s Valkyrie) or even be humanoid (industrial robots). Usually though, when someone says ‘robot’ they mean something that moves about and is more like the Transformers or at least Wall-E.
Like robots, bots also perform automated tasks. However, unlike robots, bots are just code and don’t have physical forms. These purely Internet ( or computer) based constructs are artificially intelligent. We most commonly see them as web crawlers in search engines, but they may also be sociable like chatbots, or malicious like spambots. Like robots, drones can perform tasks for us. Unlike robots, drones may or may not be autonomous. When someone says ‘drone’ they mean an UAV (unmanned aerial vehicle) or an aircraft without a human pilot aboard (drones can have passengers). However, USVs (Unmanned Surface Vehicles) and Driver-less cars are also becoming a thing. Games – video games (includes PC games, Mobile games, console games and more) specifically – have become the largest entertainment industry in the world. With 65% of households in the world having devices used for gaming and a wide representation across age and genders, it is hard to deny their ubiquity and cultural impact. One of the trends to watch out for is the rising interest in tabletop games. ‘Serious’ or ‘applied’ games need not be games at all. The term ‘serious game’ is used as an umbrella term to describe the use of game technology or game-design principles for non-entertainment related purposes. A visualisation of an oil-rig or a Scientific application using a game engine also comes within the ambit of serious games. Your step-tracker (like Samsung Health) is a form of gamification. So is the Starbucks loyalty card. Gamification is the use of game-design principles such as rewards and competition to stimulate particular behaviours or actions from people. Loosely used, gamification may also refer to the use of game-design or game UX (User Experience) principles to make a mundane task or content more engaging. Games designed explicitly for educational purposes are called Educational Games. These may be video games, social games or even board and card games. Cytosis, Darfur is Dying and iCivics are all great examples of games that teach you things while you play. This category of games also includes brain-training games, word games and trivia games. Games designed with specific learning outcomes in mind and used in an educational context, either in conjunction with other teaching methods or on their own, will come under this heading. GBL is commonly used to train observational and thinking skills but could also be extended, with the use of haptic or other kinds of specialised input devices, to train psychomotor skills. Ever since Dennis Gabor won a Nobel prize for his invention of the Holographic method, Holograms have fascinated us all. From the iconic message Princess Leia sent via R2D2 to the ultimate immersion of the Holodeck, they are a staple of science fiction that is now close to becoming a reality. You’ve probably heard of Pokemon Go – it is an Augmented reality game. Unless you are a real tech-head or motorcycling geek, you might not have heard of Skully the AR Helmet. Augmented reality is the idea of overlaying computer generated information onto a ‘live’ feed from the real world. Most commonly seen on smartphones and tablets, AR technology has many form factors and wide applications from Healthcare to Fashion. The most common type of Holographic displays commercially available today use a transparent surface, reflective prism or a led fan. Tactile holograms like inForm from MIT or using a laser like Haptoclone from the University of Tokyo, push us even closer to realising the Star Trek Holodeck. We still have to wait a bit to see the everyday use of real holograms in ‘Learning’ applications outside of Museums or Art. While we wait for high fidelity Holographic displays to become common, we can use Mixed reality headsets to come very close to the concept. 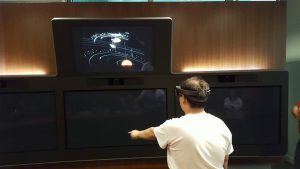 MR headsets like the Hololens, Bridge or Holokit (in that order of technology sophistication, price and immersion) can let us interact with full 3D and interactive Holograms today. In the context of Technology, the word ‘virtual’ is most often used alongside ‘environment’ and synonymously with Computer Simulation. It describes a simulated environment with which we can interact. All video games and most simulations are essentially ‘virtual’. Virtual environments may be 2D or 3D, may or may not have AI controlled characters and can host one or more users. 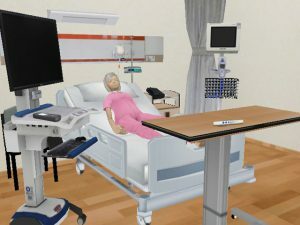 A computer simulated virtual environment that a user can interact with and explore in 2D or 3D is called a Virtual World. 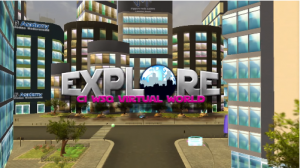 Usually, when someone says Virtual World, they mean an online space that hosts multiple users like World of Warcraft or Second Life. However, computer games such as Skyrim or Assasin’s Creed Origins have large virtual worlds, inhabited by AI characters that Players can explore alone. At its simplest, any online space where one or more students and one or more teachers login at the same time to interact with one another, can be called a Virtual Classroom. These could be Virtual Worlds, Multi-Party video conferencing, Webinar or even simple instant messaging system with additional facilitation features. What differentiates a Virtual Classroom from other forms of a Virtual Learning Environments (described below) is mainly their synchronous nature. VLEs are online environments that may or may not require users to come online at the same time. Used as an umbrella term VLEs is any web platform that is used for teaching and learning and can have social learning , content management, e-assessment and learning management features. When a Virtual Environment is projected on multiple surfaces (usually somewhere between 3 to 6) with the intent to make one or more viewers feel like they are walking inside it, it’s called a Virtual Cave. A Virtual Cave may or may not be rendered in stereoscopic 3D and could use Projectors or even LED Screens with some sort of contiguous and/or panoramic projection. 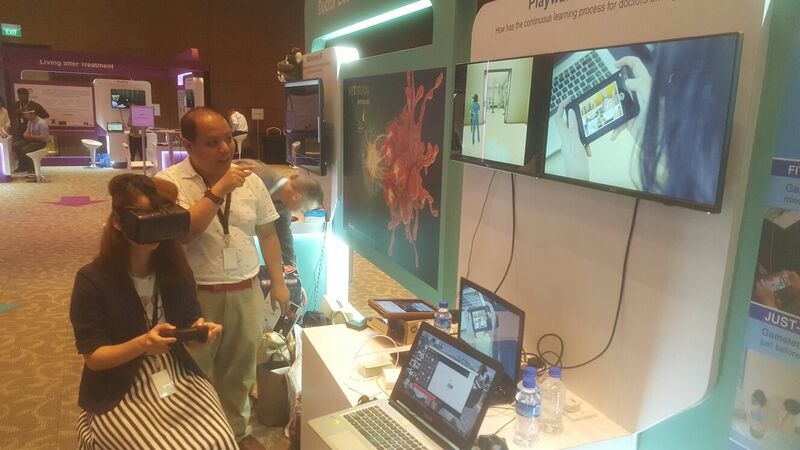 Some Virtual Caves such as Playware’s own 4Di lab may have interactive walls to allow the viewers to interact with the virtual environment. VR, as its commonly called, usually refers to a virtual environment that is viewed by a user through a specialised headset. These headsets typically project a unique video stream for each of the viewer’s eyes and control the perspective in the virtual environment (or 360 degree video) by tracking the viewer’s head movements (usually via MEMS gyroscopes). The Samsung Gear VR, HTC Vive, Oculus rift and Google Cardboard are the most popular VR headsets. The new generation of VR headsets come with controllers that enhance the viewer’s ability to interact with the virtual environment. Did you find the above list useful? What are some other tech names that sound similar? Tell us about it by leaving us a comment.